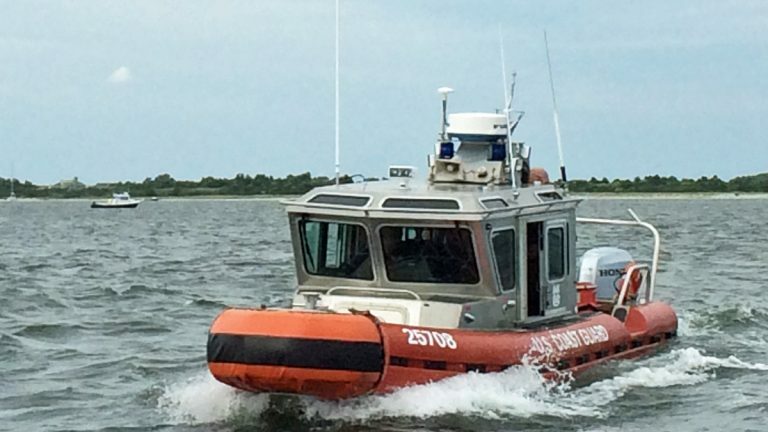 The Coast Guard says a fishing vessel that was taking on water off southern New Jersey made it safely back to shore. Officials had received a mayday call around 12:45 p.m. Sunday from the Interlude, saying the boat was taking on water and was heading into port in Ocean City. An engine malfunction caused pumps to lose power, NJ 101.5 reported. A Coast Guard cutter, helicopters and other boats from the Atlantic City station were sent to look for the fishing boat. But officials later learned it had made it safely back to shore, and no injuries were reported. According to the NJ 101.5 report, Interlude arrived at a dock in Somers Point at 1:15 p.m. but the crew never alerted authorities. The Coast Guard learned that the two people on the ship were safe after someone overheard them talking at a local restaurant, the NJ 101.5 report said. A Coast Guard spokesman said the two will not likely face charges due to their high level of stress despite the assets used during the operation.